Let the breakdown begin! 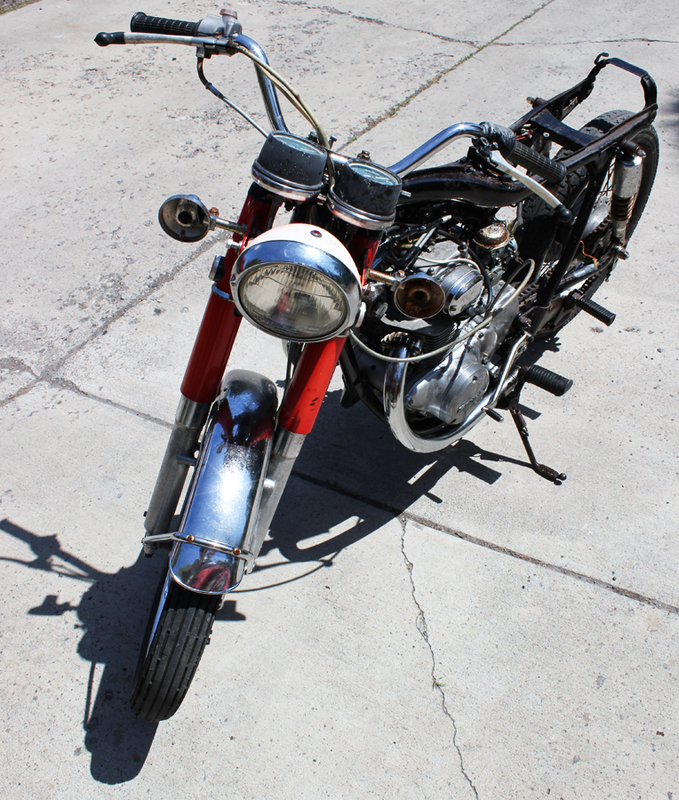 I spent a few hours this weekend dismantling the bike to see how deeply the rust had penetrated various parts. 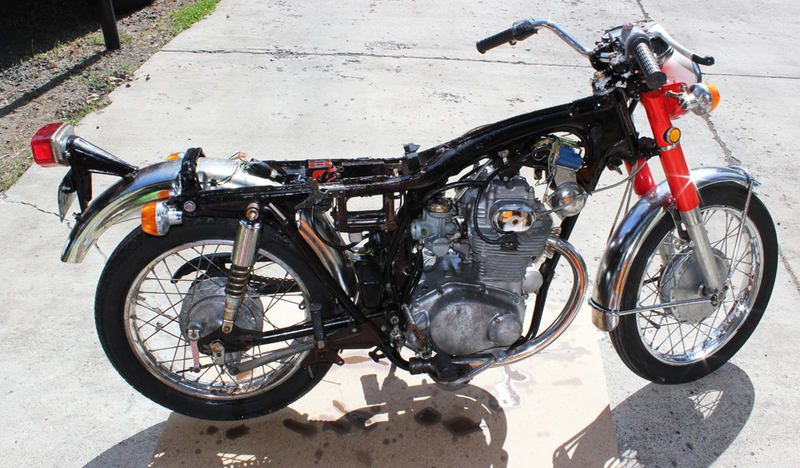 The original goal was to simply get the bike running in its current state and work slowly over time to fix it up while I worked out the engine by riding it. 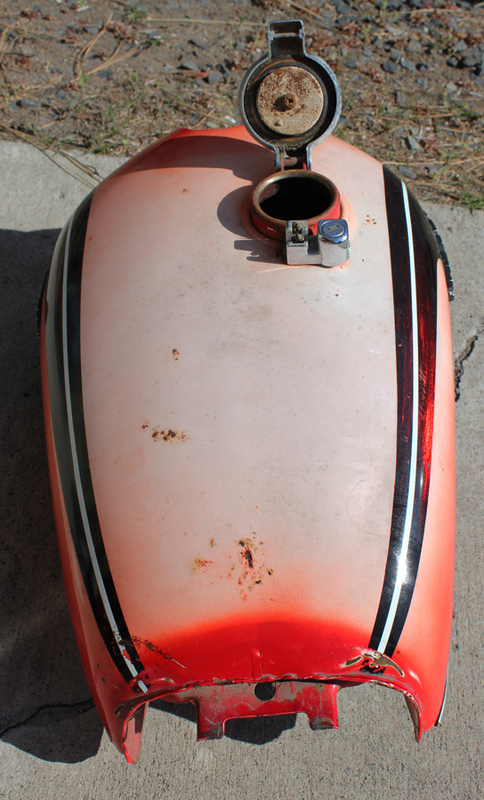 Well, my OCD kicked in and I couldn’t stand to see the rusty parts, so I decided that I would get it stripped down to the frame so I could get the frame powdercoated while I dealt with the surface rust inside the gas tank. 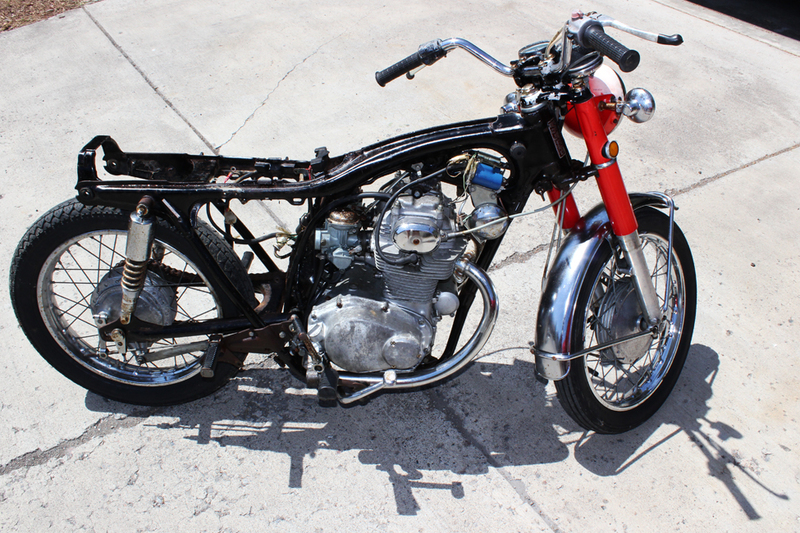 Once the seat and tank were off I kept on going. I made sure to take many photos of each part before removing it so that when I put it back together I have something to refer to. 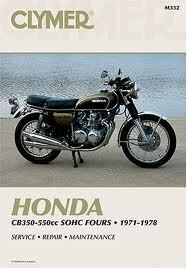 I also ordered the Clymer Honda repair manual. It should be here in a couple of days. After breaking down the bike I sent a couple of hours on the internet sourcing some of the parts I thought I might replace, but after looking at part sites and eBay I think some of the parts I thought were poor are actually not so bad, based on the junk people are trying to sell on eBay. 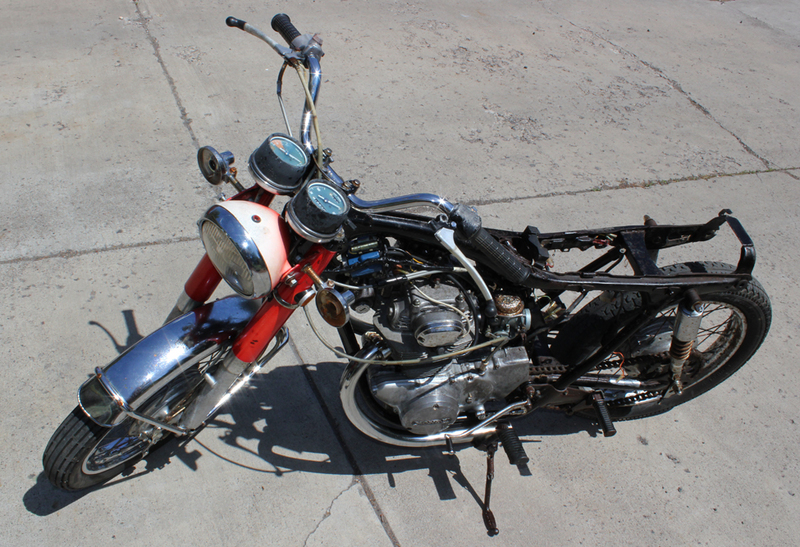 It seems surface rust and dents are par for the course on CB350 parts this age and I will be better off sanding, sand-blasting, re-chroming and powdercoating some of the pieces with minor wear that I thought were throw-aways. 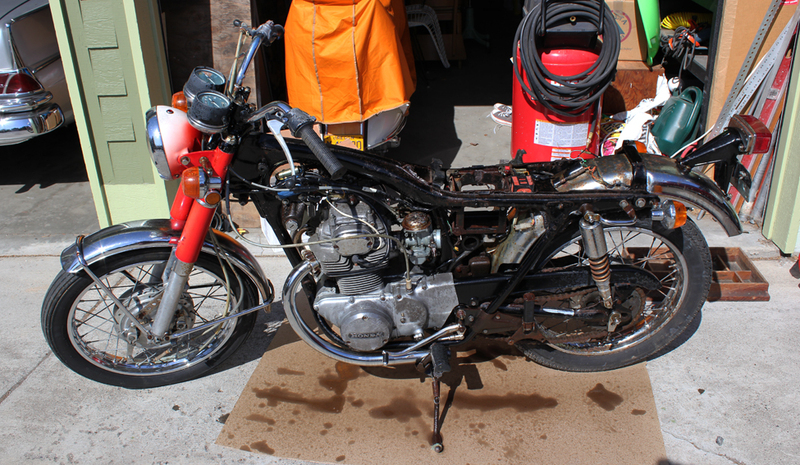 This entry was posted on Monday, May 14th, 2012 at 2:32 pm	and tagged with 1971 Honda CB350, cafe racer, Honda CB350, Honda CB350 Cafe racer, Vintage Honda and posted in Honda CB350 Cafe Racer Project, Motorcycles, Scooters & Automobiles. You can follow any responses to this entry through the RSS 2.0 feed.